hd00:06Close-up Yellow dragonfly.Slow motion beautiful yellow black dragonfly flying catch on tree. Dragonfly is characterize large multifaceted eyes two pairs of strong transparent wings colored patches. 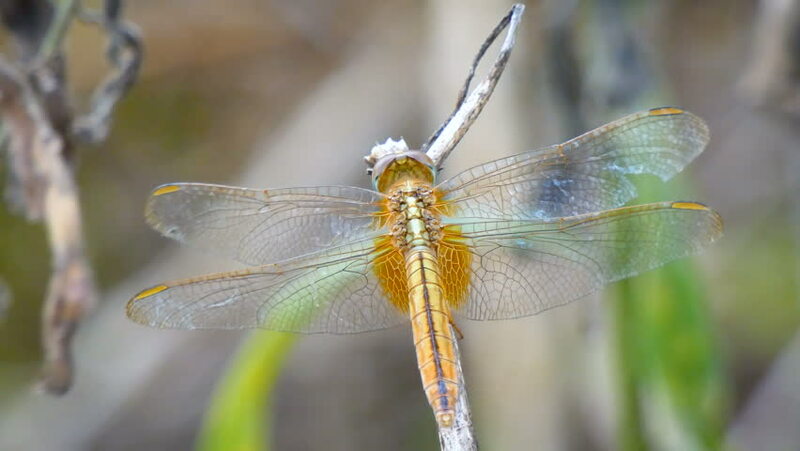 hd00:22Dragonfly - Dragonfly on the fields of Thailand.